Razer was one of the first smartphone makers to come with a gaming smartphone and last year they launched the Razer Phone. The Razer Phone from 2017 had a 5.72-inch Quad HD 120 Hz UltraMotion display, this was the first smartphone to offer such a high-frequency display and now the newly launched iPhones(XS and XS Max) comes with the similar 120Hz display. As per the reports from Android Headlines, the upcoming Razer Phone 2 will come with the same design as the original Razer. The Razer Phone 2 will come with the latest Snapdragon 845 Processor, Adreno 630 GPU. Further, the smartphone expected to pack in 8GB of RAM and up to 512GB of storage. On the software front, the Razer Phone 2 will come out with Android 8.1 Oreo and should be upgradable to the latest Android 9.0 Pie soon. 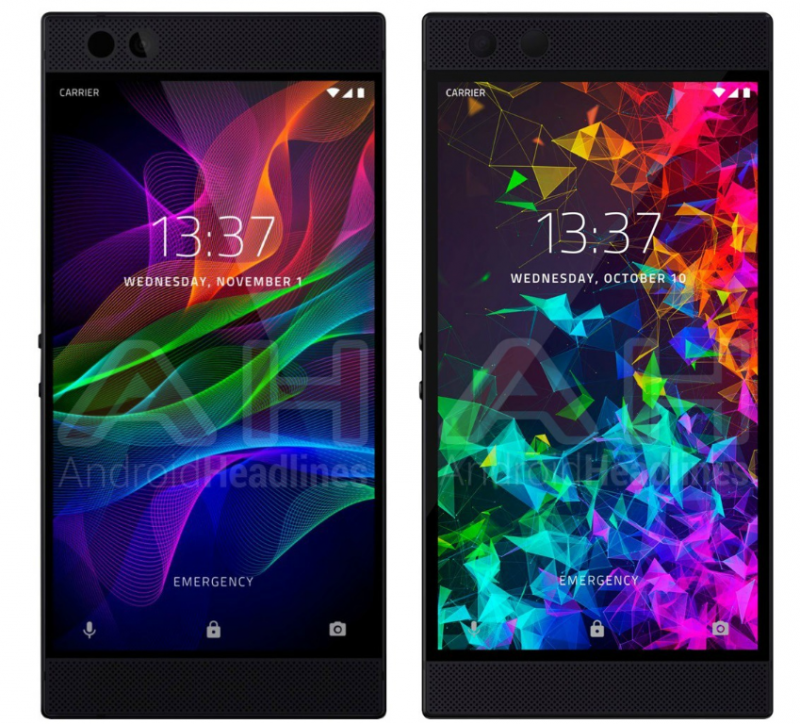 The Razer Phone 2 is expected to retain the same Quad HD 120Hz UltraMotion display that was found on the original Razer Phone. It is expected to pack in a large battery with support for Quick Charge 4.0+ and also pack in a stereo front-facing speakers with Dolby technology, Dual amplifiers. Razer Phone 2 is all set to be unveiled on October 10, 2018. What is your take on the gaming smartphones? Drop a comment and let us know in the comment section below, follow us on Twitter for more news and updates.